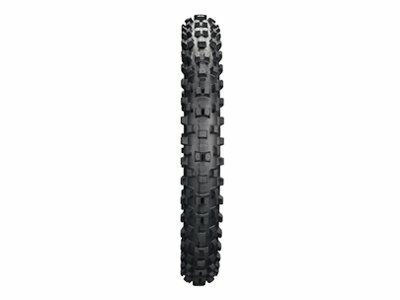 Adrenaline Powersports Huge Dunlop Tire Sale! For the month of August buy a set of Dunlop MX3S or MX52 tires and receive a pair of Dunlop Yellow Tire Stickers (same ones as the pros use) and a front heavy duty tube absolutely free! Deal applies to the following tire sizes only front (80/100-21) Rear (110/90-19, 120/80-19) and is limited to stock on hand! Better deal than online retailers but once they are gone they are gone at these red hot prices! • Progressive Cornering Block Technology (PCBT): A Dunlop-patented block-in-a-block design that offers more progressive cornering action and aids in slide control. 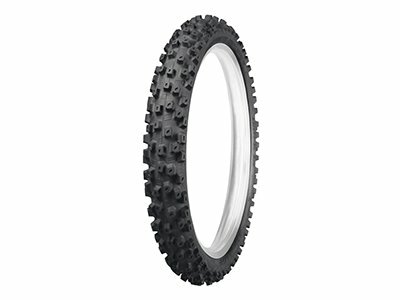 • Enhanced Carcass Tension Control System (CTCS): Tuned carcass flexibility from recesses placed strategically along the tire carcass to help smooth ride characteristics and allow the bike to follow a line more accurately. • Controlled-rebound Rubber Element in the Sidewall: This construction helps to damp out bounce, acting as a suspension component within the tire, so the tire can better follow the track surface. • Multiple Block Distribution: By varying the pitches and angles of the tire blocks, fewer blocks are needed in the center area, and this enhances contact feel. • Elimination of Tie-bar Design: Because the MX3S is intended for use in soft-to-intermediate terrain, the tie bars have been eliminated to reduce the resistance toward bending within blocks. This enhances contact feel and performance in sandy and muddy conditions. 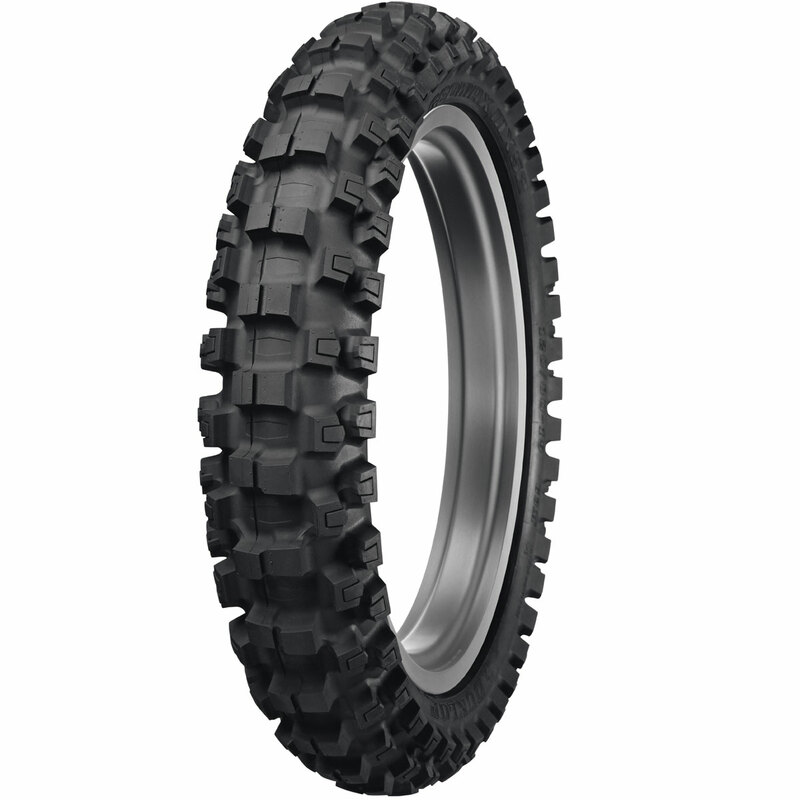 • Directional Tread Pattern: Offers great traction and steering feel for a wide range of riders who have differing riding styles. • Enhanced Carcass Tension Control System (CTCS): Tuned carcass flexibility offers enhanced feel and steering accuracy. • Staggered Middle Blocks: Alternating mid-shoulder knobs in the MX3S have been angled differently and are sized differently to add side grip and promote light, responsive steering while being less prone to grabbing in ruts. • Elimination of tie-bar design: The tie bars have been eliminated to reduce the resistance toward bending within blocks. 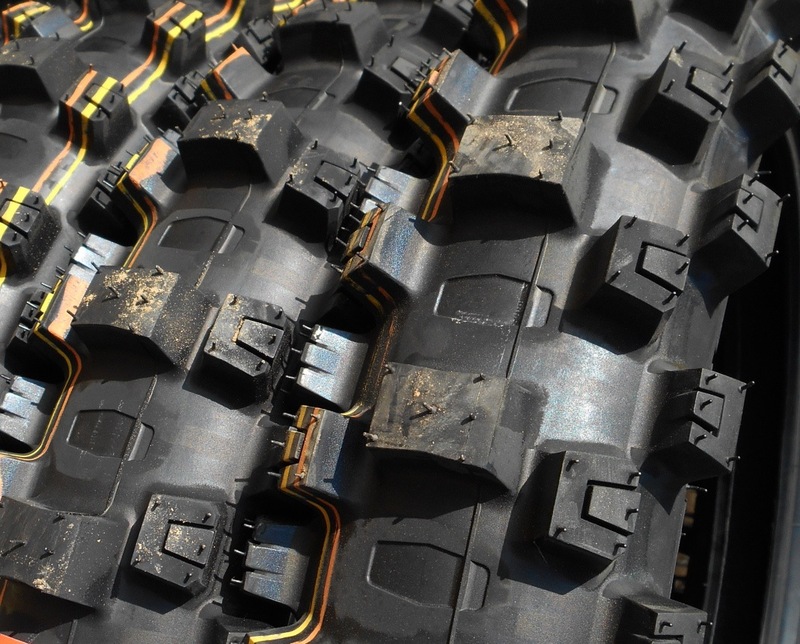 This enhances steering feel and promotes stability in muddy conditions. • Chiseled Shoulder Block: Derived from the MX31, this chiseled block shape penetrates the surface to enhance side grip. • Knob Placement: Improved knob placement and angling reduces knob stress. • The Geomax® MX52 excels in intermediate-to-hard-terrain conditions thanks to its many innovative elements. 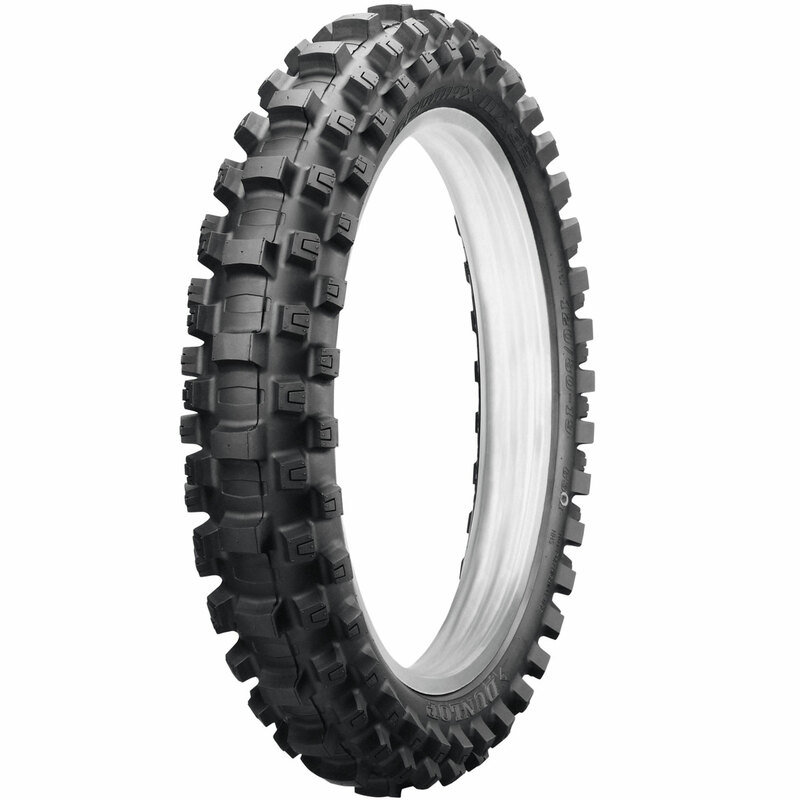 A directional-tread front tire offers great traction and steering feel, and the rear tire features block-in-a-block technology. 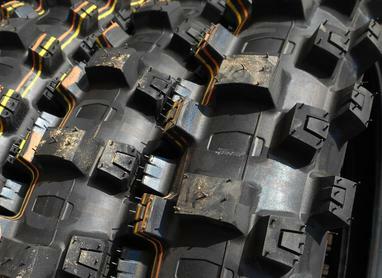 allowing a wider range of applications and even more hard-terrain range. • Superior grip in a wider variety of terrain from new block-within-a-block Progressive Cornering Block Technology (PCBT). • Block-in-a-block rear knob design offers more progressive cornering action and aids in slide control. • Enhanced handling and improved knob durability via more flex, and less knob tearing through recess carcass design. • Front knob design, construction and pattern are optimized to work in one direction, which provides advantages in feel and traction.